PHILIPSBURG, PA [RAMEY WOMER] -- UMI Performance is pleased to announce the acquisition of CNB Bank Raceway Park in Clearfield, PA. 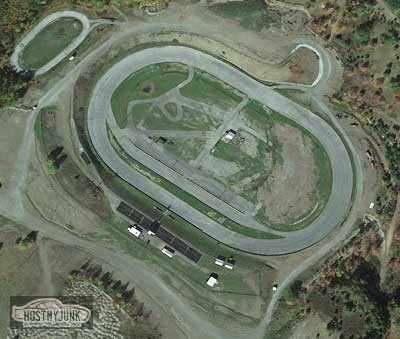 The property is a 5/8 mile asphalt oval located on 85 acres which hosted nearly 50 years of exciting wheel to wheel racing. UMI plans to convert this property into a multi-use facility with an emphasis on UMI product testing as well as hosting auto-x and road racing style events. The asphalt oval configuration will be preserved as-is which will allow testing rental by professional oval teams as well as possible ride-n-drive events hosted by UMI Performance. "The acquisition of CNB Bank Raceway Park from the Bainey family (longtime supporters of motorsports in our region) reinforces UMI's commitment to building world class muscle car suspension products. Adding a dedicated test venue to our already rigorous racing schedule will further ensure that reliability and performance is built into every UMI component. This project is another way to show our customers why we have the tagline Race Proven Suspension Systems", says UMI President Ryan Kirkwood. "By loading our components heavily in racing situations we can feel confident that a customers street car, drag car or handling car will perform safely and reliably for many years and many thousands of miles", Kirkwood added. Short term plans include cosmetic improvements, a scoreboard and signage upgrade and paving work in the infield to enable product testing and short course road racing/auto-x racing events. Plans are already being made to host a soft opening for the August 2018 UMI Cruise-In Autocross at the new UMI Motorsports Park. The grandstand seating and extremely fan friendly venue will add an exciting twist and make this one of the most unique spectator friendly autocross events in the nation.